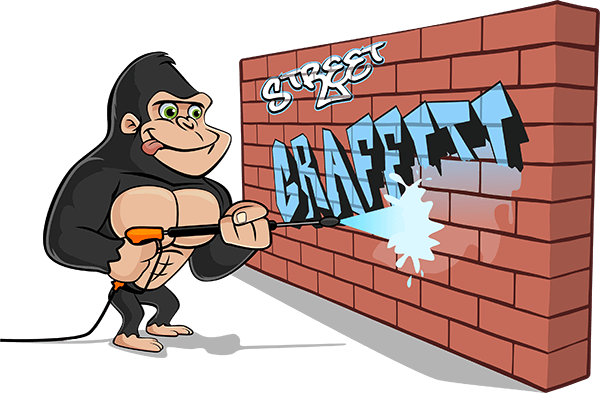 Over the past 2 years, Maple Ridge Graffiti Removal has become one of our busiest and trickiest routes. This is down to the coverage area being quite large. Due to its many parks and hiking trails, Maple Ridge needs to be monitored regularly. Here at the Gorilla Property Services office, our phones ring just as often for residential call outs as they do for commercial. 95% of residential visits are for fences tagged with graffiti. Homeowners do not want mismatched fence panels. The last thing we want is unhappy customers. In a situation like this, painting over the graffiti with a colour-matched stain or paint may be needed. We even keep the colour on file for future use! When dealing with residential Maple Ridge graffiti removal, the ‘need for speed’ is never more evident. Swift removal ensures the graffiti is removed completely. Regular removal shows you mean business! One of our most unique Maple Ridge Graffiti Removal requests was a phone call from a homeowner along the Alouette River. Floating and tubing is a big part of the summer fun in this particular area. The tagged rock along the river bank ruined the natural view. We dispatched two of our Gorilla Technicians, on tubes! With their eco-friendly graffiti removal gear in water tight sacks, they made their way down the river to the site in question. On arrival, our Gorillas tied off to an overhanging tree and did what they do best. Amazing and funny to watch at the same time! This story shows how dedicated our technicians are to Pitt Meadows and Maple Ridge Graffiti Removal requirements.